The Llŷn Peninsula is renowned for its beautiful beaches and water sports and where the Welsh language and way of life still flourish. A visit to the National Trust owned village of Porth Dinllaen is a must, one of the prettiest places in the whole of the U.K. There are also good Golf Courses at Abersoch, Pwllheli, Nefyn and Porthmadog. Only 2.5 hours from Manchester, we are situated in the picturesque village of Llangian with shop and a 6th Century Church lies just metres away. 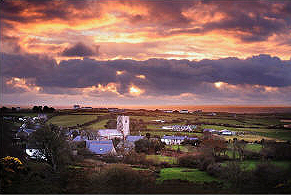 Llanengan village has a fine medieval church and a country pub (delicious grub!) one and a half miles away. Both villages have a telephone kiosk. 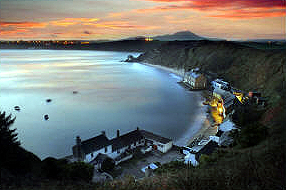 The well known boating resort of Abersoch is only one and a half miles away with many national boating events taking place each year. The village itself, although small, is well supplied with good eating places and shops. On the 50 mile heritage coast, mostly designated an area of Outstanding Beauty and Environmentally Sensitive Area, are nineteen sandy beaches (three having the European Blue Flag status). The South facing Porth Ceiriad is sheltered by high cliffs and interesting rock formations. Easterly winds can be avoided at Porthoer with its "Whistling Sands" and rocky pools. Porth Neigwl has a three mile beach, popular with walkers, surfers as well as sun bathers. The novice or experienced sports person will find plenty to do in the area. Choose from the Abersoch 18 hole golf course, pony trekking and riding, shooting and archery, cycling, fishing or walking. The district offers facilities for all forms of water sports. For the more serious walker, the Snowdonia National Park is only 13 miles from Pwllheli. Pwllheli itself has a well equipped Leisure Centre. 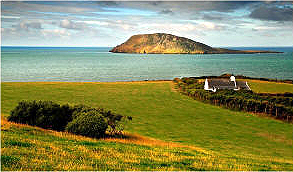 St. Tudwal’s Islands, Half Tide Rocks and Bardsey Island have large colonies of seals which are well worth a visit on one of the pleasure boats which take people out.